Products that work well, are all natural and give back are a win win. 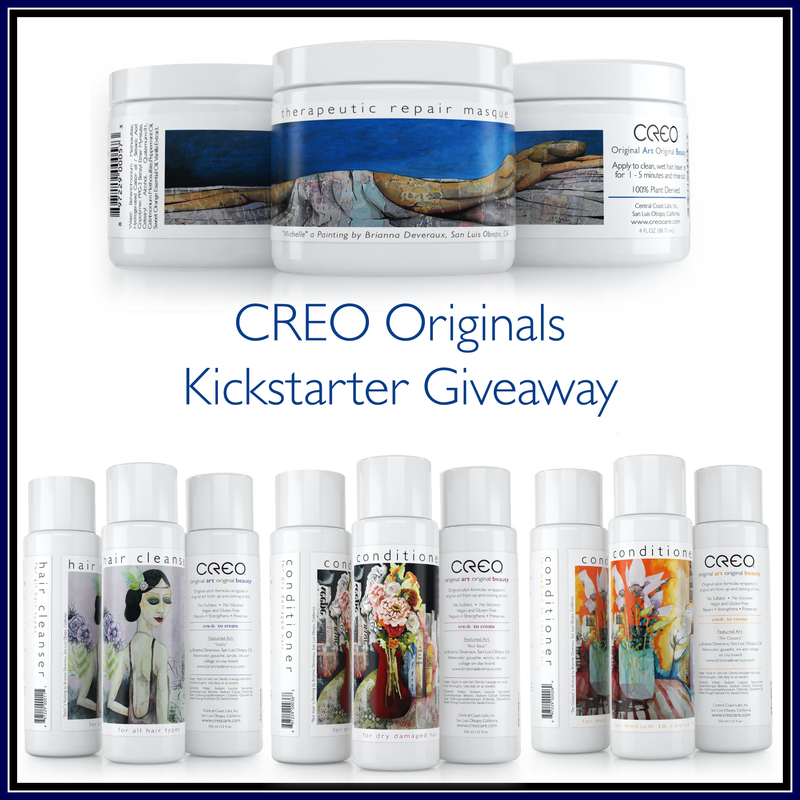 CREO Originals NEW Kickstarter Campaign enables people to own and enjoy beautiful fine art daily, while at the same time connecting with the artist who created the art, just by buying products they already use. 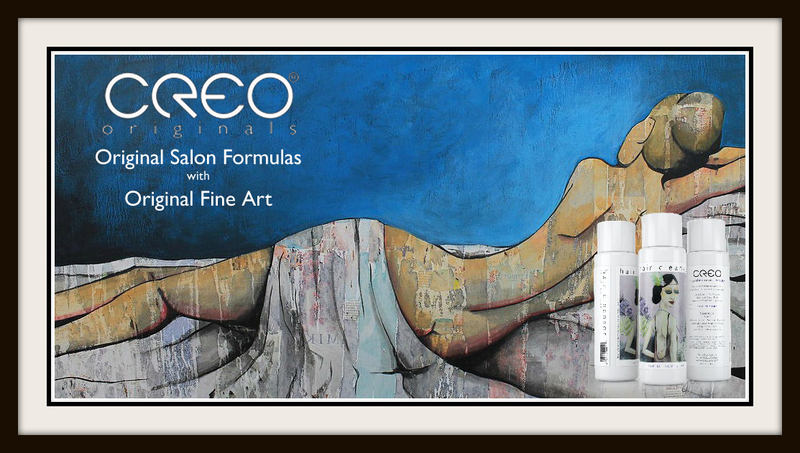 CREO promote's undiscovered artists by adorning their original salon products with original fine art, and just launched a Kickstarter campaign to raise the capital required to promote their products and artists on a national level. CREO's original salon formulas are proven effective and have been perfected through testing with hundreds of salon customers and stylists. CREO products feel good, smell good and are proven to help reverse and prevent all forms of hair damage and color loss, leaving hair softer, shinier and stronger. When you buy CREO Originals you're getting healthful and eco-friendly products that are sulfate-free, silicone-free, vegan, animal cruelty free, free of synthetic fragrance, BPA free, TEA free, DEA free, oxide free, paraben free, phthalate free, petrochemical free and gluten free. CREO Originals stems from the inspiring work of undiscovered artists and they want to share that inspiration with you. Each bottle calls out the name of the featured art, artist and website. If an artist doesn't have a website, CREO will establish one for them. CREO plans to feature a new artist every 3 months, thus enhancing your knowledge of up and coming artists, while allowing you to proudly showcase their products in your bathroom, shelves or counter tops. 3 Medium Prints (Unframed) from their featured artist. Disclosure: The bloggers participating in this event have NOT been compensated for this post. Networking Perks provides honest opinions, beliefs or experiences on products reviewed. Networking Perks is not responsible for prize fulfillment; CREO Originals will be responsible for prize fulfillment. This event is in no way associated with, sponsored, administered, or endorsed by Twitter, Google, Pinterest or any other social media. If you have any questions or would like help in promoting your own product please contact me at Joie@NetworkingPerks.com . The disclosure is done in accordance with the Federal Trade Commission 10 CFR, Part 255 Guides concerning the use of Endorsements and Testimonials in Advertising.